thank you for considering employment with us ! GEMCO’s engineering staff often exercise cross-functions within the company and can be active on different levels within different scopes. Sales, drawing office, execution, project management and on-site management cooperate closely within our teams. GEMCO’s consultants provide a complete range of strategic and operational consulting services worldwide. 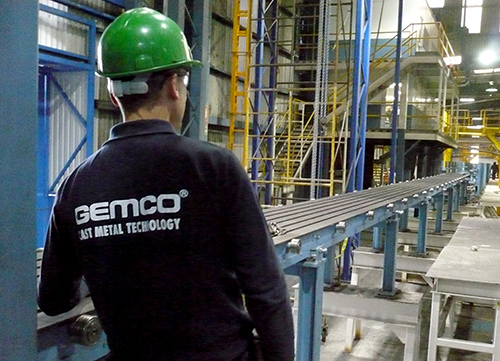 GEMCO aspires to team up (young) technicians and engineers with experienced specialists in the field. We welcome young people with a solid education in the latest and most up-to-date technologies. Newcomers join our foundry experts and project managers who will guide you through the realization of projects within GEMCO, at the office as well as on-site abroad, including the quotation/bidding phase. On R&D, apart from in-house know-how and experience, GEMCO also closely cooperates and join efforts with technology institutes and international partners. Doing so requires a multidisciplinary, flexible and integral approach. This offers a great deal of independency and responsibility to our staff. An ever-evolving technology, combined with ongoing globalization makes the world our working territory. Consequently, traveling and staying abroad is a regular part of the job.